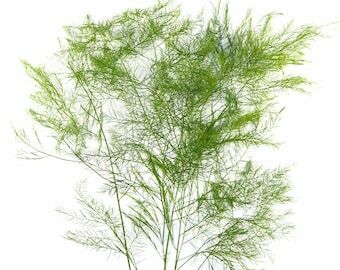 >>> BUNCH SIZE: 6 to 10 stems per bunch (typically 24-30" in height, but can be anywhere from 18 to 30" in stem height). 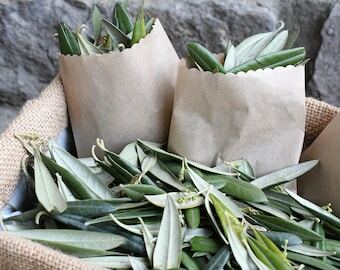 Please note that the actual olive fruit on the stems is seasonal and olive fruits may not be on the olive stems for your own bunches and/or during the period or the time of year that you receive them. >>> EARLIEST DELIVERY DATE: Next-Day delivery available, when order placed by 7am PST (based upon availability). Advance ordering also available, up to 12 months in future. >>> FEDEX EXPEDITED SHIPPING: FedEx Express Shipping (1-3 business days). -- Next-day guaranteed delivery available upon request and applicable charges. You receive a FedEx tracking number with real time updates. >>> VASE LIFE: Expected vase life is an average of 5 days with proper care and handling. >>> AVAILABILITY & PRODUCT VARIATION: Available year-round; leaf shapes, sizes, and coloring may vary slightly depending upon the time of the year and/or due to computer monitor resolution. >>> 100% QUALITY GUARANTEE – Please see below for further details. OIive branches are one of the oldest symbols of peace, harmony, hope, and victory. 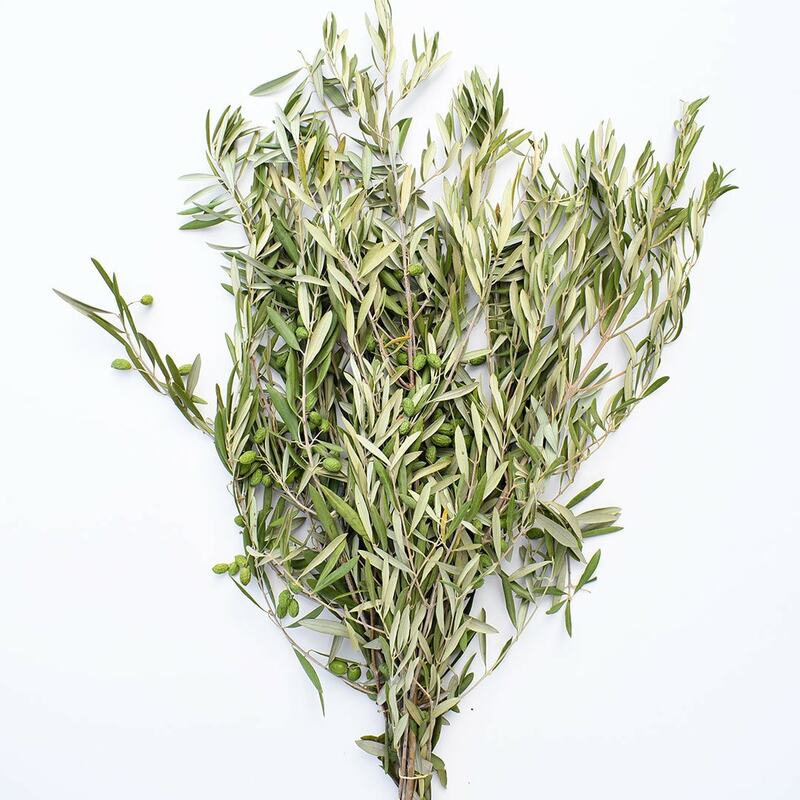 Historically, olive branches have been used to make headpieces for women and men at weddings and festivals. 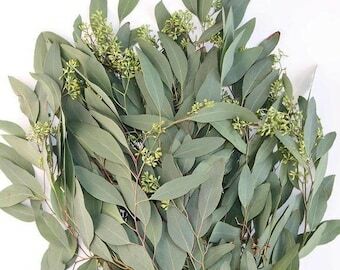 Today, olive branches - with their woody stems and dusty silver green leaves - are very popularly used in floral arrangements, events, weddings, wreaths, garlands, centerpieces, home decor, DIY projects, and personal projects! Perfect to combine with other bulk flowers and greens to create unique and romantic wedding bouquets, floral arrangements, and table centerpieces. A customer favorite and an absolute must have, especially if seeking a garden look, rustic garden look, or wild chic Boho look! >>> DELIVERY AVAILABLE: Tuesday through Saturday. >>> RECOMMENDED DELIVERY DATE = 2 to 3 days before your event. >>> Product shipped direct to your address. Upon shipping, you will be sent a FedEx tracking number with real-time tracking information and a confirmation email. •	FedEx Express Shipping (1-3 business days). •	Please note: We do not ship over the weekends, due to the nature of the product. We will postpone shipment of any orders that would require over the weekend shipping when placed to the following Monday, in order to minimize actual time spent in transit with the shipping carrier. See further information below regarding 100% Quality Guarantee. •	Processing time for this product is Same Day to 2 business days (this means we will ship your product out up to 48 business hours from the time you order). Please let us know if you require instant processing - during wedding season, we try to process same day as much as possible, when required! •	We encourage pre-ordering whenever possible! Many customers pre-order or place their order in advance. •	You may order now and request a future delivery date up to twelve months in advance. •	Please indicate your future delivery date request on the order notes when you are completing checkout (if in doubt, send us a message with the requested delivery date). •	Regardless of when you place your order, we will always ship out fresh product to you for your required delivery date. •	100% QUALITY GUARANTEE = We ship out super fresh product and fully stand behind our product. •	Our 100% Quality Guarantee only applies to orders wherein Overnight Shipping is selected and/or product listing indicates Overnight shipping is included. •	Signature required upon delivery; no signature will void Quality Guarantee. If no one is present at time of delivery, shipping carrier will generally leave the package for you or will provide details on how to get the package at the local shipping station. •	Due to perishable nature of the product, product must be appropriately cared for upon delivery. If there are any product concerns upon delivery, please contact us in writing (by Etsy message) within TWO HOURS of the delivery detailing any concerns and providing images of the concerns. •	Once your package is transferred to the third party shipping carrier, we are not responsible for delays caused by the carrier, lost or damaged packages, and/or agricultural holds. These problems rarely occur, but if and when they do, we will provide contact information and claim information to make a claim for your package with the third party shipping carrier. A requested delivery date 2-3 days prior to your event will help minimize any shipping problem should one occur during shipment. 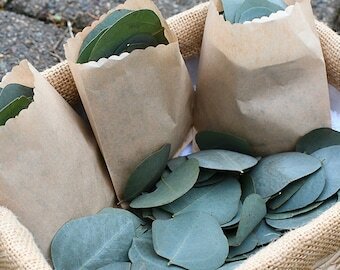 •	We have been providing industry leading flowers and greenery/foliage for years for weddings, events, special occasions, DIY projects, gifts, or for personal use. •	Our flowers, fillers, greenery and foliage come super fresh direct from our award-winning farms with accolades for premium quality, freshness, and consistency. •	Feel confident and relaxed that your flowers and fillers will be of top quality for your wedding, special occasion, gifts, or yourself! •	All orders are made-to-order. We know this is a lot of reading but we hope it is helpful! Please feel free to contact us with any questions you might have. Sadly these arrived dead. I still used them but was definitely disappointed.